Forget long flights and an expensive journey, and come heliskiing with us in the Italian Alps. We offer heliskiing trips and holidays at very affordable prices for all groups and individuals. 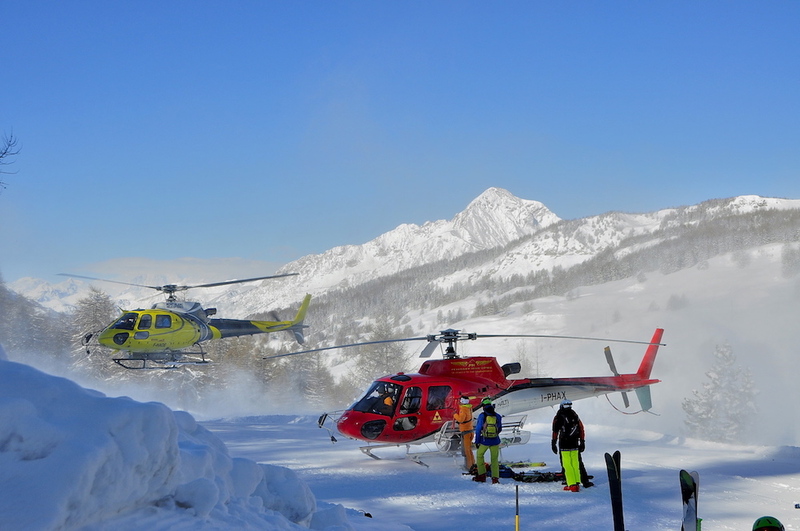 Our heliskiing domaine, with over 100 landing zones, is definitely one of the most amazing, vast and varied in the Alps. Pure Ski Company Heliskiing guides, instructors and pilots are highly qualified and very experienced. They love and know their mountains intimately and want to share it with you – and, of course, the charming Italian welcome, fabulous food and wines! The vast, dramatic landscape between Sestriere, the main venue for the 2006 Winter Olympic Games and the Mont Viso on the Italian/French border has a huge variety of terrain where you can find whatever type of skiing you want to enjoy. Whether you want to just heliski with each run being between 900 m and 1 200 m vertical or, mix it with some heli touring, the helicopter drops you on to the summit of the mountain, from there you can enjoy a perfect day’s ski touring at your own pace. It is also possible to ski off piste and ski touring from the lifts. We only use the best and most experienced heliski guides and helicopter pilots. They are always in permanent radio contact with each other and with the local mountain rescue services. Each morning and several times during the day we analyse with great care the weather and snow conditions and adapt our plans accordingly to ensure skiing in the safest areas. Clients are provided free of charge with an air bag, shovel, probe and arva transciever along with full instruction in using this equipement. 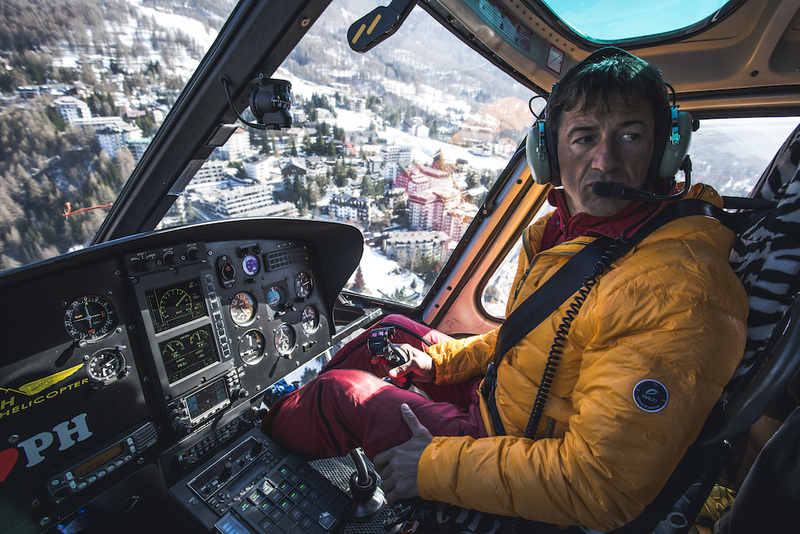 We also ensure that every skier is made fully aware of all the safety issues associated with flying in a helicopter in a mountain environment. 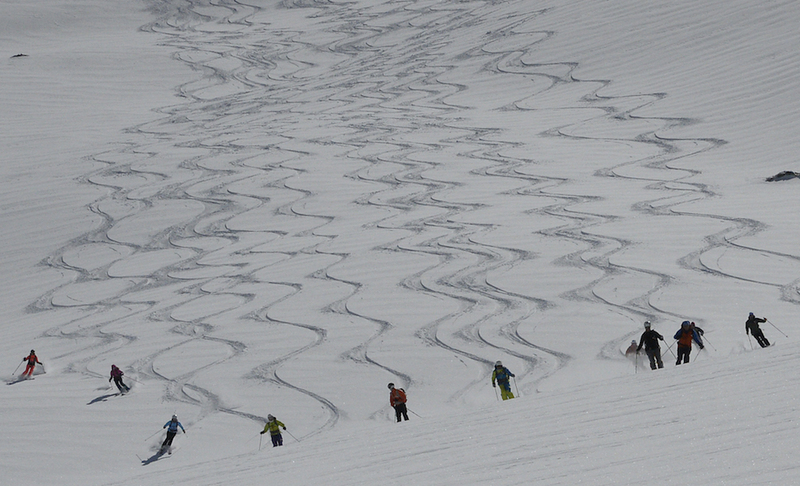 If weather and snow conditions were to prevent us from heliskiing, you are unlikely to loose a day of skiing. 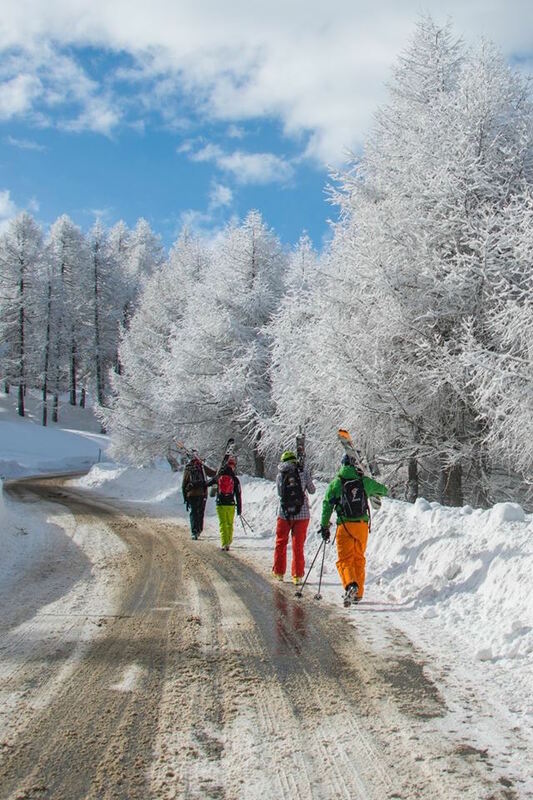 We are fortunate to have on our doorstep the excellent lift systems of the Vialattea between Sestriere, Italy and Montgenèvre, France giving easy access to plenty of on and off piste skiing along with excellent tree skiing. We will either postpone or reimburse in full the cost of the heli-drop(s) you couldn’t make. Our private groups consist of between 1 and 4 skiers, each with its own private guide. We can cater for as many private groups as you want and create the ideal made to measure programme for you according to your personnal requirements within your budget, dates and length of stay. We are always very happy to welcome individuals, couples or friends who would like to heliski with us as part of one of our groups. Please let us know your dates, level, requirements, well in advance and we will endeavour to put together a group that fits your standard of skiing and wishes. As soon as we have a suitable group for you we will confirm your reservation. We would be delighted to arrange an itinirary for you so that you can also be part, share and enjoy your stay. The Vialattea has a great selection of pistes for every level if you wish we can recommand and book an instructor for you to help you improve your style and technique, allowing you to discover the amazing ski domaine. There are plenty of other activities including cross country skiing, snowshoe walks, skating, spa and well being. In addition we can also help to arrange — off piste and heliskiing courses for beginners. 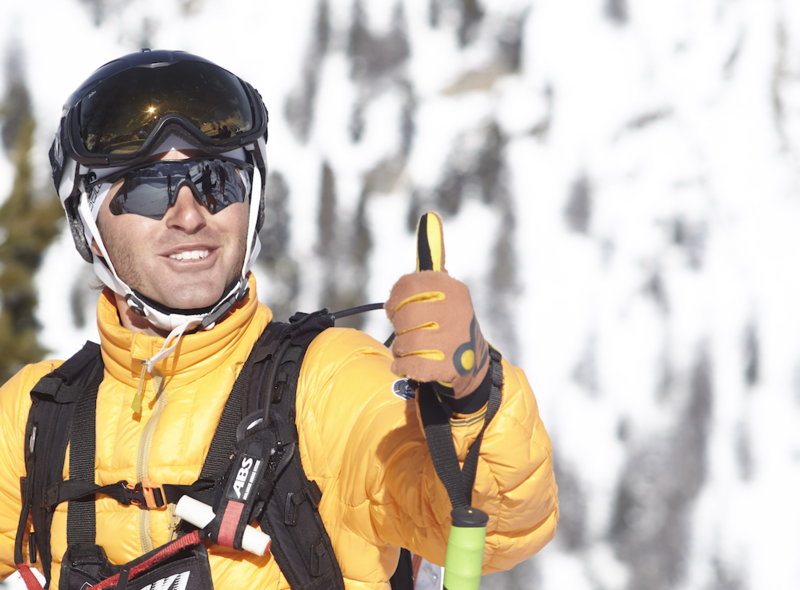 Our guides, led by Eric Carquillat, mountain guide and manager of Pure Ski Company Heliskiing are available throughout the season. 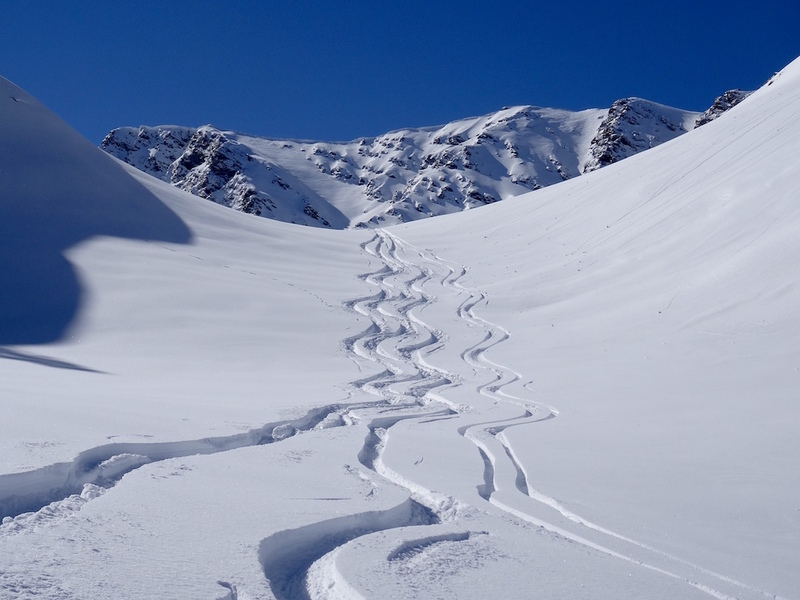 Range from 1 to 7 nights which include, half board – accommodation twin standard room, guiding and heli runs are created by Pat Zimmer, internationally recognised as a leading off-piste and heliskiing specialist. Pat founded and ran the first independent off-piste ski school in France based in Val d’Isère. We have hand picked a selection of hotels to stay that we know very well that offer the quality of service our customers love to receive. Two 4 stars top of the range and a 3 and 2 stars hotels of very good value. Panoramic views, excellent location just 5 minutes walk from the centre of Sestrière village, 50 m from our Helipad. Charming and top class, with free wifi, jacuzzi, sauna, swimming pool, salon with open fire, gastronomic Italian food. Ski in and out access to the slopes. Great location, overlooking Sestrière, 2 minutes walk from the centre of Sestrière. Excellent food. Free wifi, superb loft bar, 5 minutes to our Helipad and to the ski lifts. In the centre of Sestrière, very convenient near the shops, standard comfortable rooms, wifi, dinner in a nearby restaurant. 5 minutes to our Helipad and to the ski lifts. Hotel located in the little village of Clavière linked by a lift system to the french ski resort Montgenèvre. 100 m from the lifts, 3 minutes to our Helipad, free shuttle service, 15 minutes drive from Sestrière. Very friendly welcome by Renato and his team, free wifi, spa, salon, very good traditional cuisine, good wine list. Hotel located just 5 km bellow Sestrière, 10 minutes by car to the center of Sestrière. Very clean and comfortable rooms, good tradionnal Italian food, good traditionnal wine list, just 300 m from one of our valley Helipad. Pickup from there every morning. Please give us as much notice as possible. Late bookings are possible but subject to availability. 30 % payment at the booking – balance 3 weeks before arrival. We accept all credit cards, cash and bank transfer. You are welcome to use your own we insist that you check your equipment carefully before arrival. 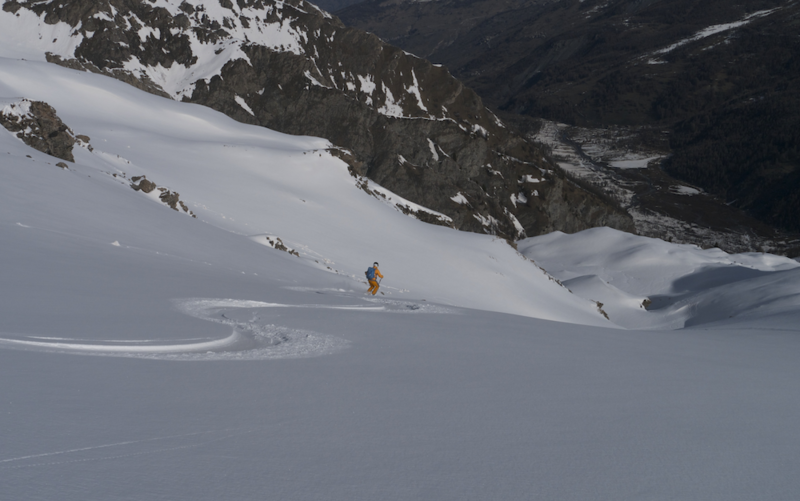 We recommend wide off piste/free ride skis — if your programme include ski touring, skis with touring bindings, skins and ski crampons. Rental and maintenance on request. Oulx 15 minutes, direct TGV line Paris — Turin. On request helicopter and taxi mini bus transfers from airports, train stations, ski resorts.